Watch your favourite films in a whole new way with the UE49NU7100KXXU. 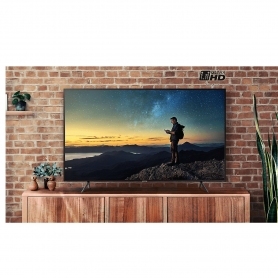 Your family will love the incredible 4K quality and huge range of Smart features. 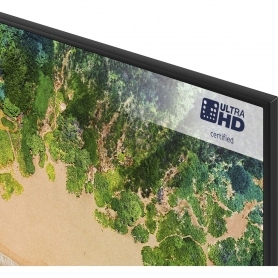 Ultra HD Certified: Every single pixel is perfected to give you great clarity, sharpness and brightness. HDR 10 +: Watch every scene come alive and see every detail in the darkest and whitest of shades. Auto Motion Plus: Enjoy fantastic clarity in even the fastest of scenes. Fast frame refresh rates and backlight technology help the UE49NU7100KXXU deliver exceptional results. And, treat those game-lovers in your house with the specially designed game mode. 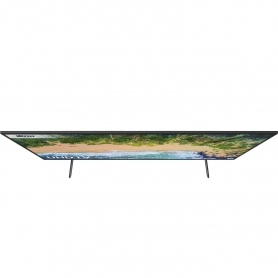 They’ll love the optimised TV settings that make the screen perfect for indulging in the action. 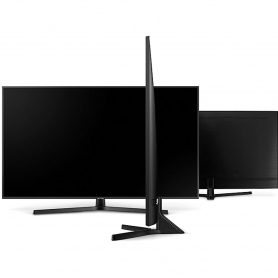 They’ll even be able to stream from their PC to the TV – an easy way to make the most of the great 4K screen. 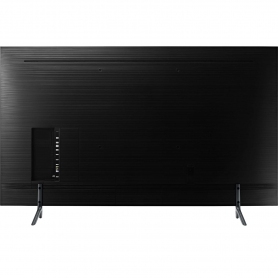 Plus, the charcoal black finish on this Samsung TV will look fantastic in any room. 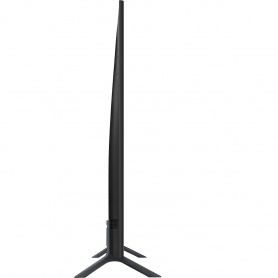 You can also use the included simple luminus stand, or even mount the TV to your wall. 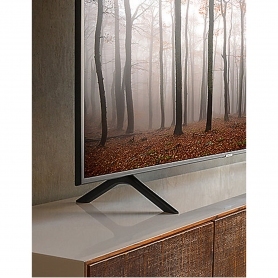 Samsung has the designed this 4K TV with flexibility in mind. 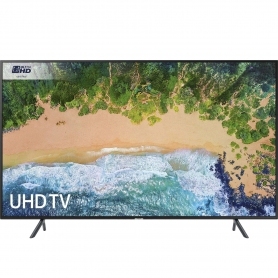 Rated ‘A+’ for energy, you can enjoy amazing 4K content on this Samsung TV without worrying about utility bills. What’s not to love? Order yours today.